Deceptions Abound in SMOKE AND FIRE–Review, Egg Hunt and Giveaway! Hi there! Today I’m sharing a review for a newly released book from paranormal romance sensation Donna Grant. 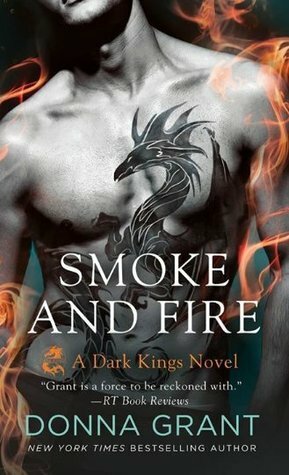 SMOKE AND FIRE is the ninth book of her Dark Kings series all featuring contemporary romances for millennia-old dragon shifters. This new book is a second-chance romance for Ryder, the tech-savvy Dragon King, and the girl he loved and left three years before: Kinsey. It’s a fast-paced story that encompasses a huge world from which I’ve only gotten a taste. To celebrate the release of SMOKE AND FIRE and the season of Spring, there is also a DRAGON EGG HUNT going on throughout the tour! Exciting, right? Certain stops throughout the tour will have something special to share with you which will provide you with an extra entry for the giveaway. Just like a traditional egg hunt, you’re going to have to search for these items/information!! Find out more information about the Dragon Egg Hunt at the bottom of the post! When I signed on to read this book I didn’t know it was NINTH in a series. I must say that this book is best enjoyed when read in order. For those who are new to it, it’s still a fast-paced adventure, but the myriad characters, of good, evil, and undecided factions, are a lot to absorb. The heart of this book is the love story that develops when Ryder, one of the Dragon Kings who inhabit Dreagan mountain (and whisky distillery) reunites with his lost love, an accomplished hacker named Kinsey. Ryder and Kinsey met four years prior and shared a deep love for a year. Then, Ryder disappeared without a trace. And brokenhearted Kinsey searched high and low for him. In the three years since she’s had only one contact with Ryder, seeing him descend out of a flying dive as a dragon, who morphed into his human form to save her from death at the hands of a Dark Fae. Kinsey was rattled to say the very least. Sent by her company, Kyvor, to Dreagan’s offices, she’s stunned to meet Ryder face-to-face. No one can explain why she’s on the property, and a bogus work order only sends Kinsey and Ryder deep into the inner communications of Kyvor’s elite agents. As the time passes, Kinsey’s struck by her attraction to Ryder, and Ryder’s eager to spend any time he can with Kinsey–even if it means snuggling in beside her as she sleeps, because she ain’t leaving now that she’s breached their inner web of security. Alongside of this are the continuing plot threads of the series–the looming war with Ulrik, a deposed Dragon King, battles with the Dark Fae, and that pesky Human problem. Just when it seemed as if all would work out, we had another curve ball hefted right at our reconnected lovebirds. This one was nearly fatal, but crisis-averted due to cooler heads at work. Thank goodness, because Ryder would have been devastated to have harmed Kinsey and later determined she was an innocent. There’s a little bit of lovin’ going on, but not much considering the length of the book. Also, this book is being released in four parts. It’s probably intriguing for fans of the series, but fresh readers are going to want the full-book upfront as the early parts have too many people and too little substance tying them together to keep the narrative compelling. I found that I really didn’t get engaged until the end of the second part, nearly halfway through the book. That’s my own fault for not having read the previous eight books, so I stuck with it to the end and really liked it. Interested? You can find SMOKE AND FIRE on Goodreads, Amazon (paperback or ebook), Audible, Barnes & Noble (paperback or ebook), Books A Million, iBooks, Kobo, IndieBound, and Tantor. Click on this Rafflecopter giveaway link for your chance to win prizes in the big giveaway including: a print copy of SMOLDERING HUNGER, a print copy of PASSIONS IGNITES, an ebook copy of DRAGON KING (Dark Kings novella), an ebook copy – Winner’s choice of any book in the Dark Kings series, or a Dreagan tote bag with 4 buttons from the Dark Kings and Reaper series! Giveaway is open INTERNATIONALLY and is for the duration of the event. Mentioned earlier in the post was a DRAGON EGG HUNT going on throughout the tour. There are 9 “Dragon Eggs” (i.e. Blog Tour Stops) throughout the blog tour. Each representing one of the books in the series! The fun part is that, like a regular egg hunt, you’ll have to find these special stops and then FIND the “Dragon Egg”. The “Dragon Egg” is actually information within the site. Yup, site. 😉 You’ll have to visit each tour host, each day to see if they have a Dragon Egg for you to find. The Rafflecopter widget will provide you with the hint. The hint will be a questions or it will ask you for specific information. The DRAGON EGG HUNT is a fun and interactive activity that will provide you, the reader with some insightful information about the series! 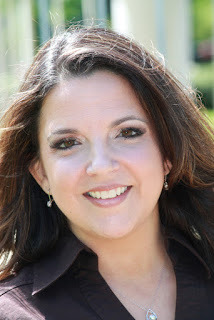 You can find Donna online on her website, Facebook, Twitter, Goodreads, Pinterest, Tumblr, Audible, and Tantor. Have you read the first eight books since? No, but I may go back for them.